I am floating between reality and dreamscape; on the edge of sinking effortlessly into my own breaths, as they ease themselves in and out of my body. I feel his hand on my shoulder, warm and inviting, comforting. We were out at one of your friends again, like most Saturdays. The stale air was clouding the room, drunk young adults played mindless drinking games and pretended the world outside didn’t exist. I awake in a dark room, confused as to where I am. After a few moments, I realize I’m at home in my bed, my head pounding and foggy from the night before. Have you ever been on a rollercoaster? All the ups, downs and loop-de-loops? That’s what being an entrepreneur feels like. No slow and steady here, ladies. So, I’ve never really been a “resolution” person and I still don’t really like the idea because improving yourself isn’t linear and should not be determined by a new year, it should be consistent little things that you work on all the time. Cannabis for Women: Where to Start? Krystal Laferriere of Kanabé Goods Co. shares her wealth of knowledge when it comes to using cannabis. Legalization is tomorrow and cannabis isn’t just here for the high, it a variety of uses and some of its uses are really great for women. We share 3 tips to build self-worth without basing it on your achievements. It’s so much easier to see yourself as someone worth 60k a year, that’s a part of who you are, but that’s not who you are. Learning doesn’t stop after school and it certainly doesn’t stop in the workplace! We’ve got 6 easy tips for how you can better learn in at work to be a better employee and better yourself at the same time. Depression is not or the weak, depression is reserved for the resilient. The resilient still need help and Steph will share three things that have helped her live with depression in hopes that it will help someone else. There are just as many visible social inequalities as there are invisible social inequalities. Many racialized groups are left out of the mainstream fitness industry making facilities inaccessible to all groups. If you’re a woman you’ve likely been told at least once in your life, “that’s not very ladylike” or “you should act more like a lady”. Feminism is not a shiny toy that you pick up and play with when you want to it should be the food you eat, the air you breathe and the words you speak. I'm sorry. Thank you. I promise. I’ve struggled with how to approach this topic for a long time now. The last thing I want is to come off as patronizing or ignorant and if I do, please let me know. So, let’s talk about privilege! I went out last Friday (June 17, 2016) with my friends and my younger sister to a local pub for a few drinks, celebrating summer and the end of the week. This case has been popping up everywhere and I've felt so many different emotions reading everything thus far and I needed to vent. I hadn't clicked on anything when I first started seeing it because things like this give me such a heavy heart but it needs to be read, and it needs to be talked about. 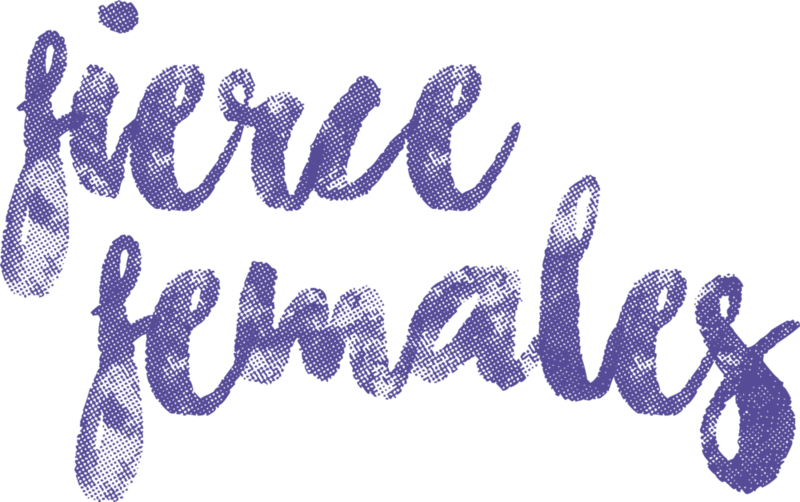 I'm bringing back #FierceFemales in a different capacity and I wanted to bring it back with one of the fiercest females in the public eye today. On Monday, June 1st, 2015 Caitlyn Jenner, formerly Bruce Jenner, graced the cover of Vanity Fair Magazine with nothing but poise and grace. So let's talk about The Bachelorette, yes I watch The Bachelorette, The Bachelor and the Bachelor Pad. I keep my life low on drama so I need to get it somewhere! Ashley is a student and stay at home mom of two boys in Walnut Creek, California. She is working towards her doctorate in psychology to help women who struggle with postpartum depression. In the minimal spare time that she has Ashley writes for and curates content for her blog A Vodka Kind of Mom. Chantelle Andercastle is a yoga entrepreneur in Rural Manitoba. She works to adapt to new situations and loves the challenge. Through her Compose Yoga community she works to help women find self-care success through yoga, meditation and goal-setting. Jaclyn Leskiw is a wedding and boudoir photographer in Winnipeg, Manitoba, Canada. Who took a chance on herself and her business to create Jaclyn Leskiw Photography so she could follow her passion and her dreams. Jennifer David is an empowerment mentor, intuitive holistic healer, life coach and entrepreneur in Winnipeg, Manitoba, Canada. David has created an digital space for empowerment, motivation and evolution through jenniferdavid.ca. Natasha Helwig is a Certified Life Coach in Toronto, Ontario, Canada. Broken Heals in 2011 out of a deep desire to provide much needed support to women who have experienced heartache, dating abuse, toxic relationships and trauma. In 2016 she published the book Random Notes from a Broken Girl. Knowing that it’s normal to feel fearful even, or maybe especially when I am being brave. When I can hold space for uncertainty and discomfort without seeing those as a signal to stay small and silent, I am empowered to use my voice. Surrounding myself with like-minded women. I love sitting and talking with other women who are chasing their goals and dreams. I love to feed off their energy and allow it to fuel my next step, whether it’s for my own personal growth or growth of my business. Being able to beauty and uplift my environment. Well as cliché as it sounds, helping people is what empowers me! When I feel like I am making a difference to someone, I feel like I am living my purpose. My friends and family empower me. Without them, I am certain I would not have been as resilient in the face of adversity the way I have. The easy answer is inspiration. But inspiration isn't necessarily easy for me to find. To me, creativity is one of my greatest tools - or weapons. And inspiration unlocks my creativity. If I can't access my creativity, I actually feel weaker and can even feel depressed. What inspires me the most is the resilience and courage of my family, friends and community. Seeing the growth in others. When I see someone else feel inspired, I feel empowered too! I’m a sucker for the belief that we can all win. Working (and living) in an environment of full trust. I am very fortunate that I get to be part of building a business with my husband and a team of people who share our values and passion for what we do. What is it that empowers you the most? There are a few things that I find empowering, but what empowers me the most is being able to take care of myself and make my dreams come true. I am proud to be an independent woman, and know that I am able to do everything for myself. I feel empowered when I am working in a team that relies on my expertise to accomplish or create a plan. I love feeling that I am the "expert in my field" in the room. As a Registered Dietitian I love collaborating ideas with the health team to create a plan to help our patient. Knowledge, dreams, and imagination. I think the more equipped we become with knowing ourselves, each other, and facts about the universe, the better off we'll be in leaving a positive impact on those around us. A whimsical spirit too, I find empowering because it allows me to see beauty, stories, and magic in everything around me. I’m empowered by other people who are pushing the envelope, challenging the status quo, and achieving great things. You know you’ve met one of these people when you can literally feel their energy. Whether it’s a simple conversation or collaborating on a project together, I feel most alive when I spend time with people like this. I’m empowered by successfully accomplishing a goal or given task. I don’t always do what I set out to do, and I don’t always do it well. I don't want flowers, I don't need flowers, but I deserve those flowers. I have always had an incredible example of love to look up to my entire life. My parents still act like they fell in love yesterday.